because you did not know about its benefits? 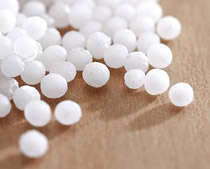 Are you yet not benefited by Homeopathy? Homeopathy works for a range of chronic and recurring diseases such as asthma, allergies, autoimmune diseases, migraine, diseases of the skin, joints, muscles, mind, etc. Homeopathy does not work fast enough for critical diseases such as severe infections, heart attack, etc. We are here to help you decide if your ailment could be treated with homeopathy. Please send a mail or chat with our doctors online. Well, the era of the internet brings all the best things in the world to every door-step; regardless of your location. Yes, in the olden time (pre-internet era), qualified and experienced homeopathic doctors were not available everywhere. Now, we have been serving patients from all across the world using the online treatment protocol. Life Force is a pioneer of Online medical practice and we treat patients from 180 countries; probably including someone in your neighborhood!